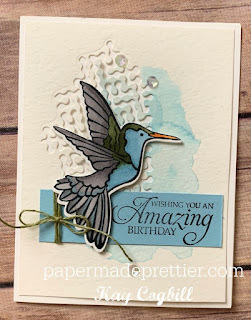 papermadeprettier: Product of the Week - Humming Along stunner card! 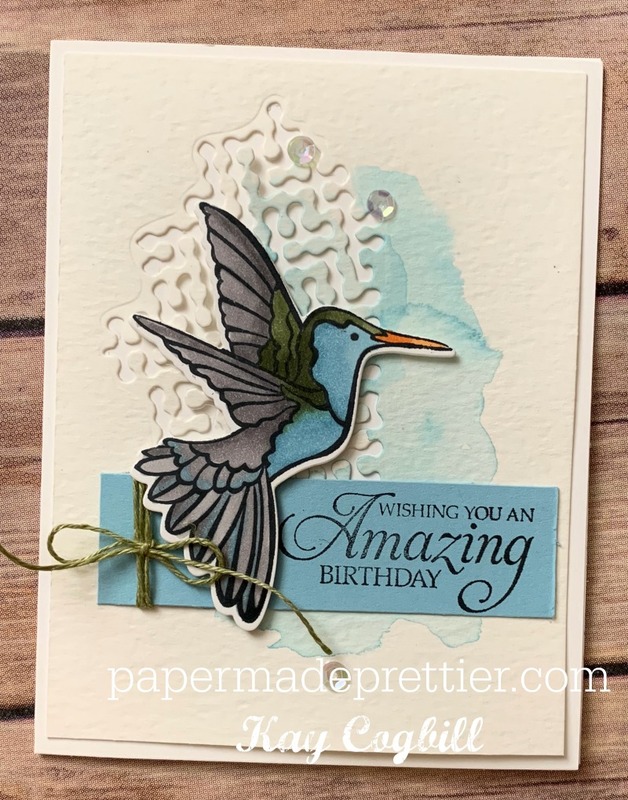 Product of the Week - Humming Along stunner card! Now y'all know I'm not one to blend with two shades a ton. 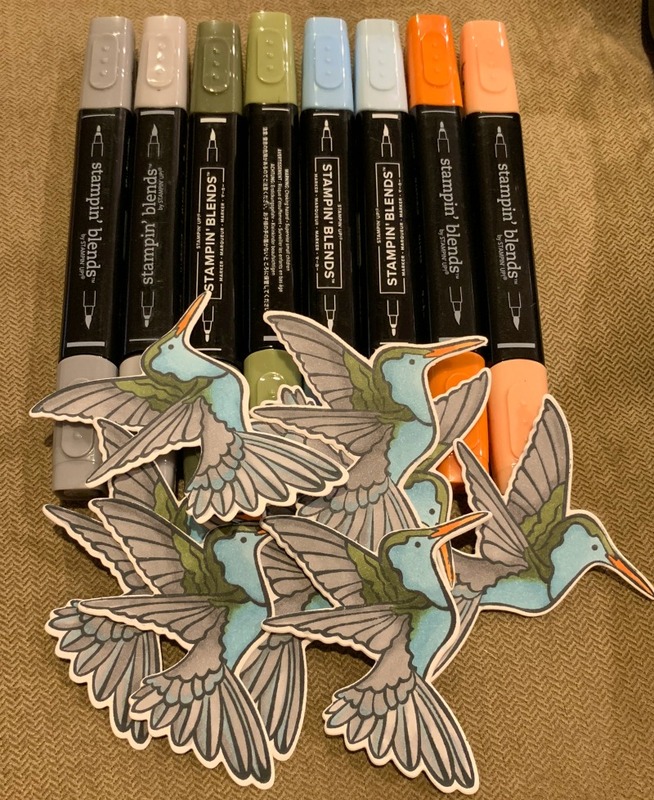 I love to use my blending markers to just color one layer, but rarely take the time it takes to make gorgeous, blended projects with them. I have friends like Elizabeth Mayfield-Hart and Erica Cerwin who can make magic with them, but I'm more quick and dirty with em. Dang! 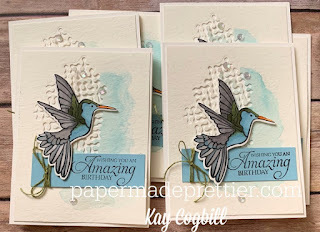 When I saw this card in the Stampin' Up catalog I knew I had to try it, and I am pleased with the results! I got together with the leaders of my team and did a catalog case swap. We copied cards straight from the gorgeous Occasions Catalog and this one was a challenge, but a stunner. 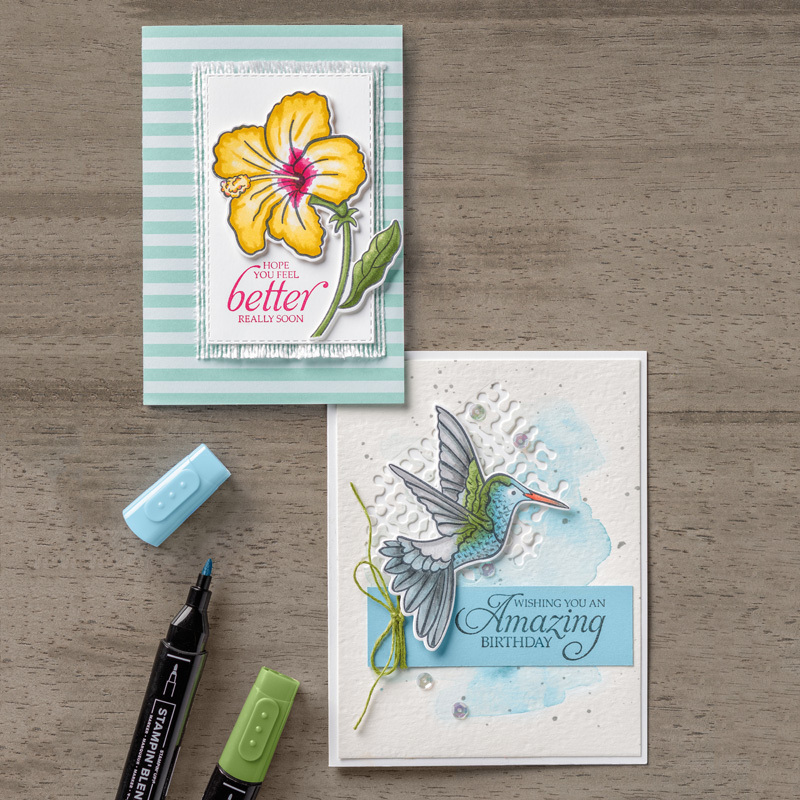 I used the new Humming Along bundle with the stamps and framelits and NEW Balmy Blue and Mossy Meadow blends combo packs. Did you see that pockety framelit? that's what I used to make the holes in the watercolor paper. I used a shim to make it cut all the way through. Worth it, don't you think? I did a watercolor wash with Balmy Blue on the watercolor layer. You better bet I also used my magnetic platform to BigShot those suckers since I spent many minutes coloring each one! Don't forget the other stunner in the set, the hibiscus. Is that a hibiscus? If not, tell me in the comments here! Does that lower card look familiar? Catch me on FB live this week Wednesday at 9pm on "papermadeprettierclub" FB group for a project using this bundle and also a gander at the card were are making with this bundle at Stamp Technique club this weekend. 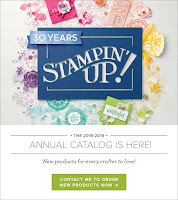 Click below to order any of these products to make this card today! Order the bundle and a set of blends and get a FREE item of your choice from the Saleabration Catalog! Order all the things pictured below on a starter kit of $175 for only $99, no shipping! You can get it ALL and still have $27 left to spend! WOW! 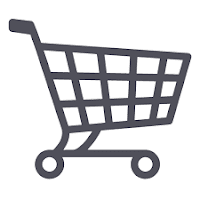 Click here to order your starter kit today! I'd love to hear what you think, or answer any question! Comment away! Welcome to papermadeprettier. 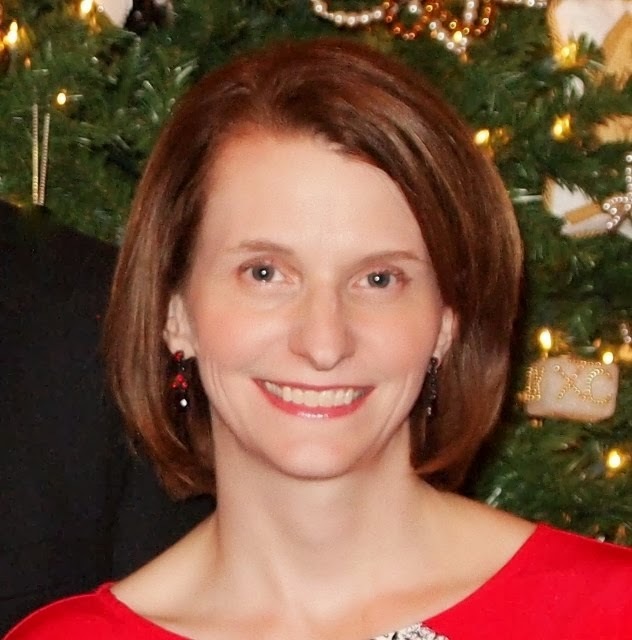 Click my picture to learn more about me! ELF YOURSELF "Merry Little Christmas" elf candy box from Stampin' Up and papermadeprettier. 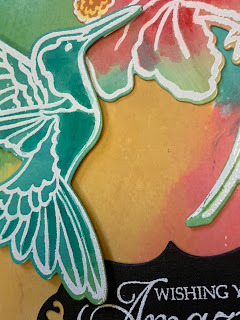 Text and photos © papermadeprettier unless otherwise noted; all rights reserved. Cards, scrapbook pages, kits, and other designs shown here are for personal inspiration. Please do not copy my designs for submission to contests, magazines, or to sell for profit. Thank you for respecting these limitations. 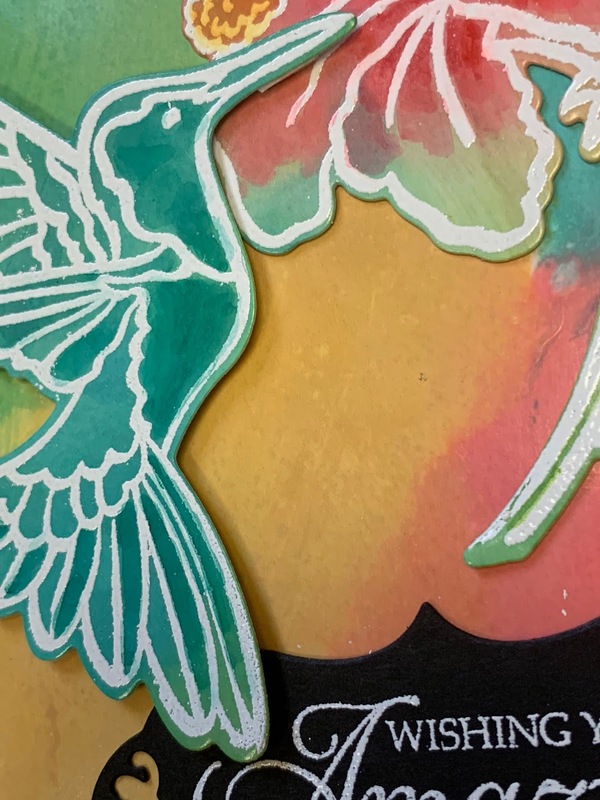 Don't miss another creative inspiration, subscribe to this blog by email in the box below!